There’s something about hanging a beautiful spring wreath on your front door after a cold, dreary winter. The fresh warmth of spring gives your heart a feeling of hope and excitement. 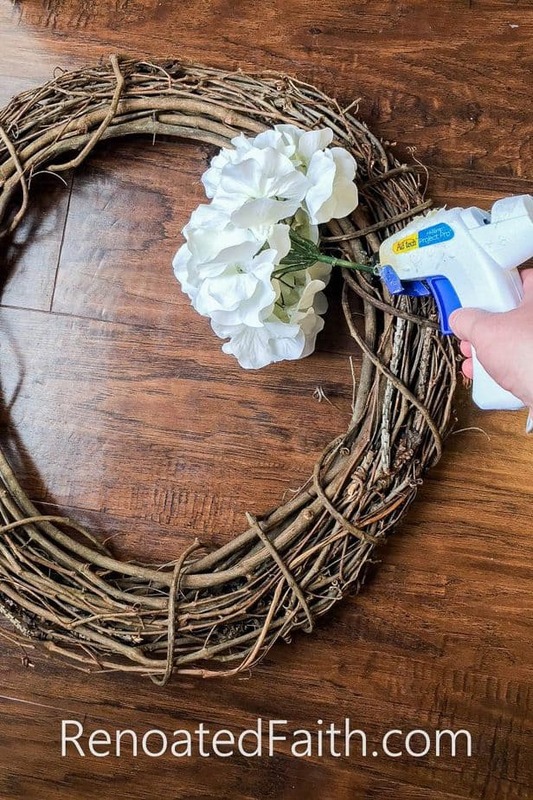 My hydrangea door wreath is so easy to make that before you know it, you will have said goodbye to your winter blues. 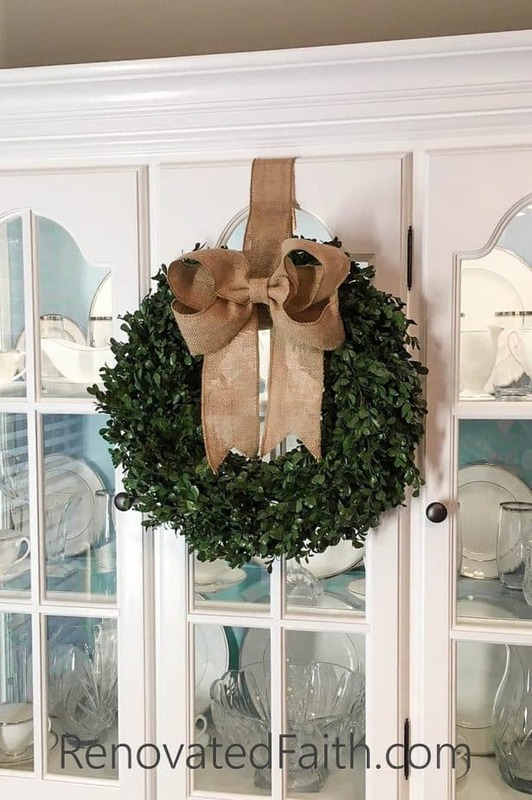 A few of you asked how I made this wreath after seeing it on my post 10 Steps To Affordable Curb Appeal. After hours of hard work pulling up bushes, redesigning the beds and planting new plants, the wreath was the icing on the cake that brought the whole project to completion! After a cold winter (for this Texas girl anyway), putting this wreath on my door again was like a breath of fresh air. To me, it signifies more than just the start of spring but a new season of our lives where I eagerly await God’s blessings after a couple tough months. In spite of a cancer scare and my daughter’s recent dyslexia diagnosis, I can already see how God is working these events for our good. (You can read more about them here and here). I’m reminded that the Lord never allows us to go through hardships without His protection. And even through difficulties, we will eventually see Him orchestrate a difficult situation into something useful and even beautiful. After every winter, spring is sure to come! I love that we can have reminders in our homes of God’s work on our behalf! 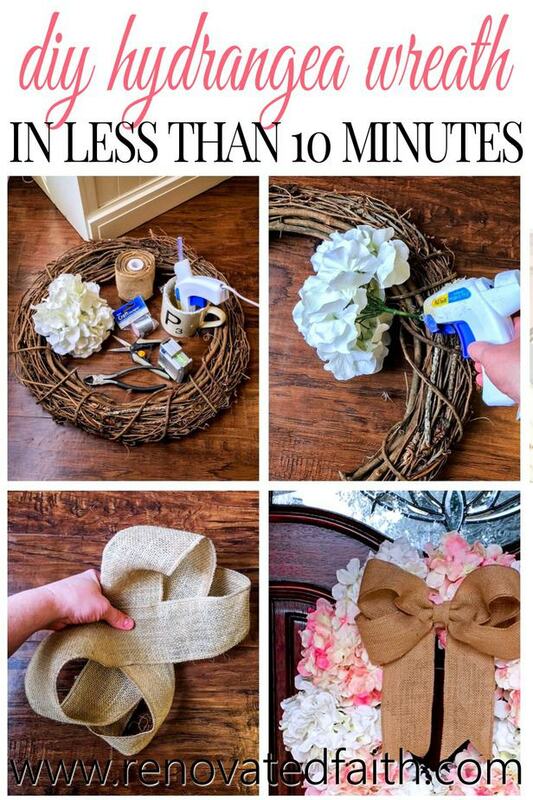 I think you will be pleasantly surprised how easily this wreath comes together! 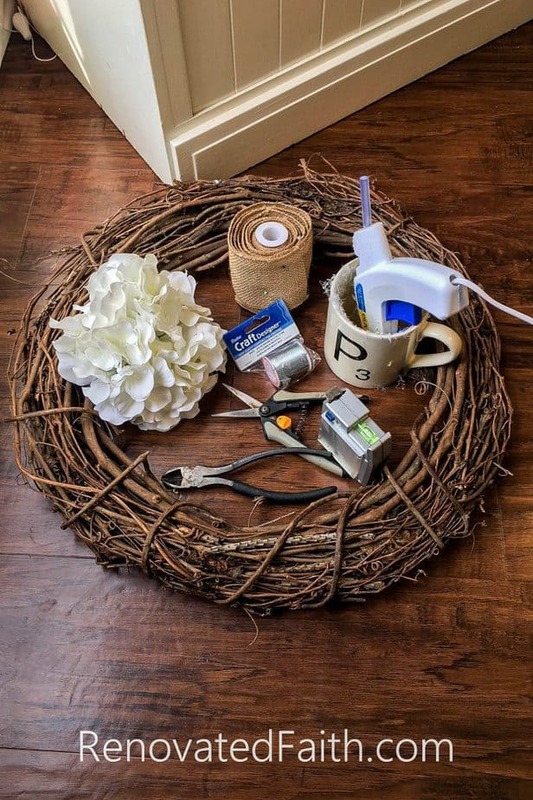 Here are a few supplies you’ll need for your hydrangea door wreath. 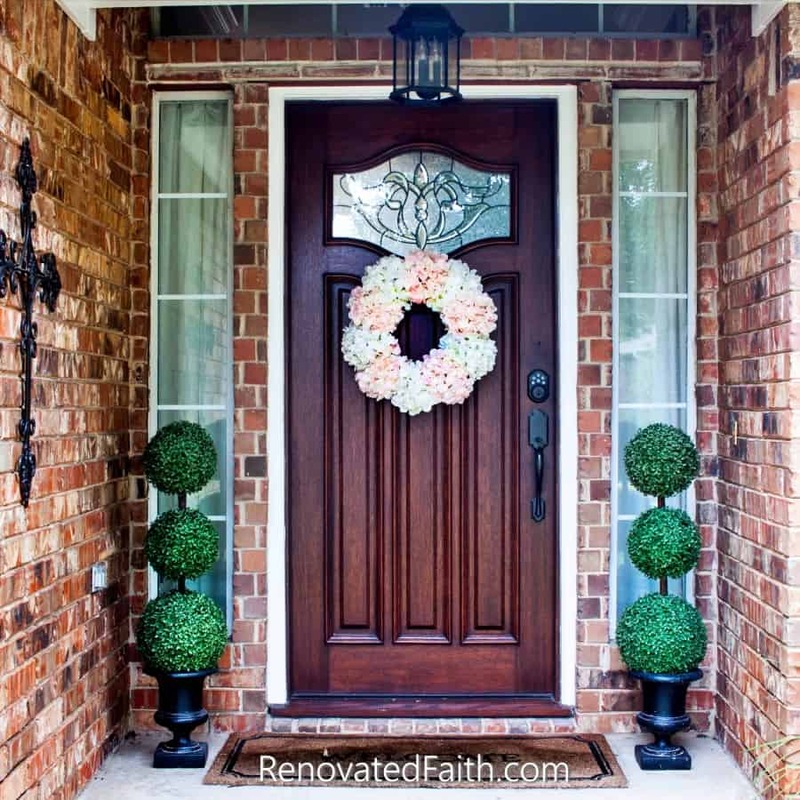 Hydrangea Door Wreath – Supplies Needed! Hot Glue Gun – THIS one is my absolute favorite! I waited until the hydrangea stems went on sale at Michael’s and got those. However, Amazon sells just the heads or tops of the hydrangea flowers for even less and in several color options. They have white, pink and a few other colors. 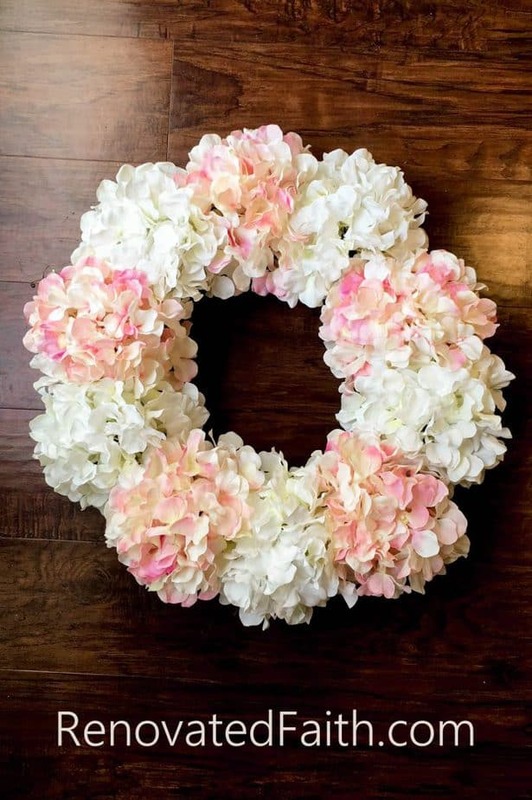 I used 5 white and 5 pink hydrangeas to fill in the wreath. 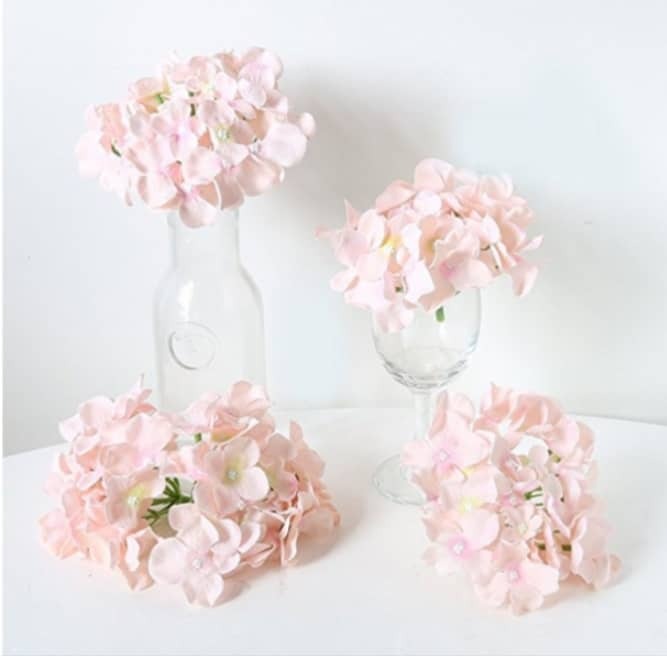 If your hydrangeas have long stems, use your wire cutters to cut the stems of the hydrangeas to 2 inches long. Then, lay out your hydrangeas and figure out where you want them before you glue. 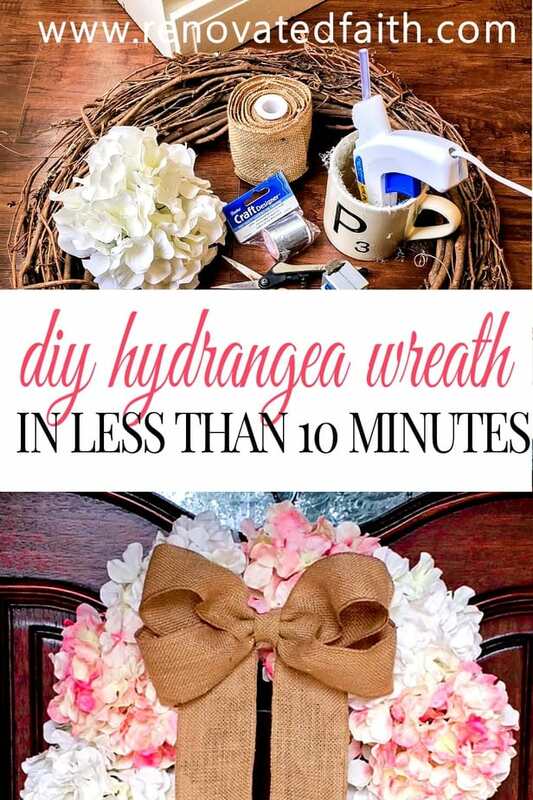 Simply hot glue the stems to the wreath. Feel free to use plenty of glue because you want them to stay in place and you won’t see the glue behind the flowers. Next, I laid my hydrangea door wreath flat and sprayed the entire thing with Scotchgard Heavy Duty Water Shield Spray. (Do this outside.) This will help protect those flowers from the elements. I have used this same wreath for three years and it is still going strong. When it gets dirty, I literally take it down, hose it off, let it dry and it looks as good as new! While the spray is drying, you can work on your bow. 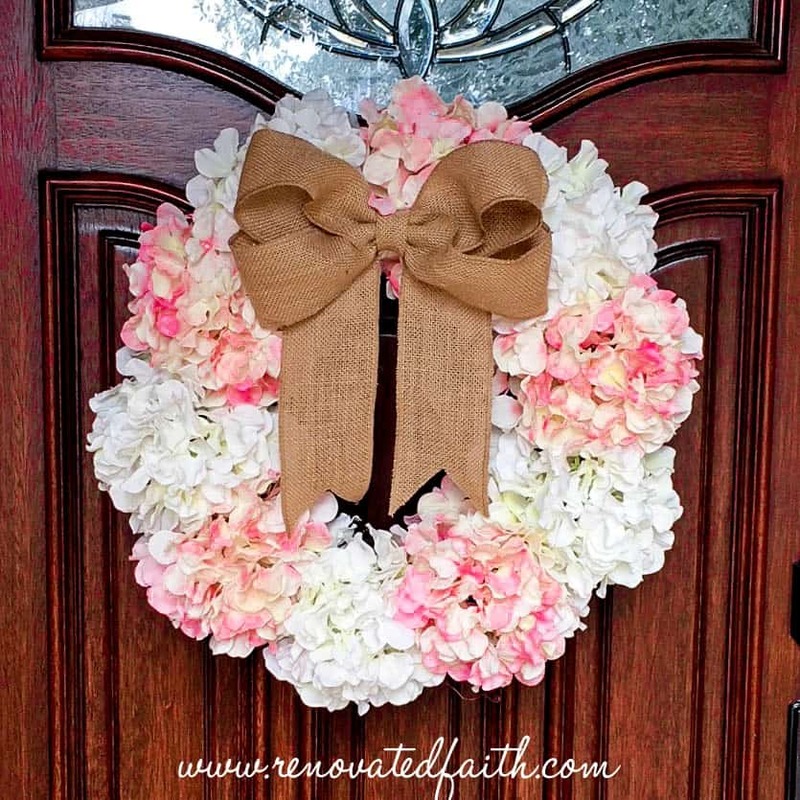 Use my my Easy Burlap Bow Tutorial to make a bow for the top of the wreath. 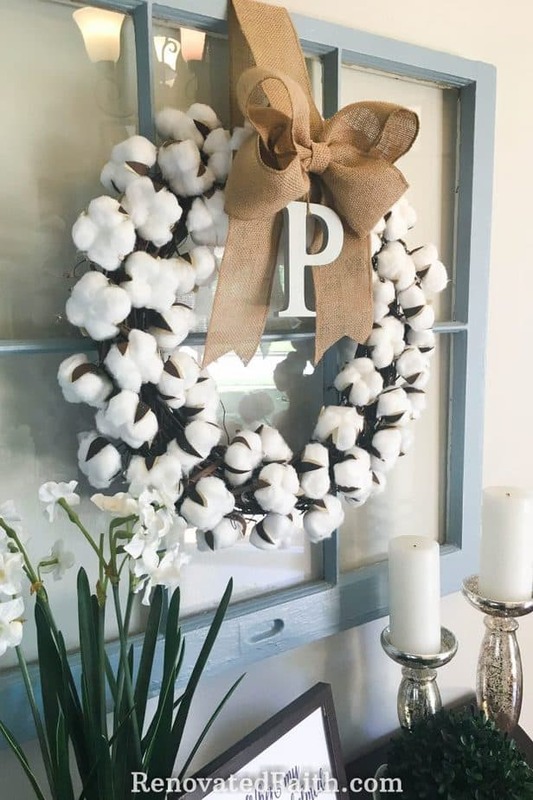 I used the same bow to make my DIY Cotton Stem Wreath. Attach the middle of an 18-inch piece of craft wire to the back of your bow with hot glue. When it cools, attach the wire to your wreath. 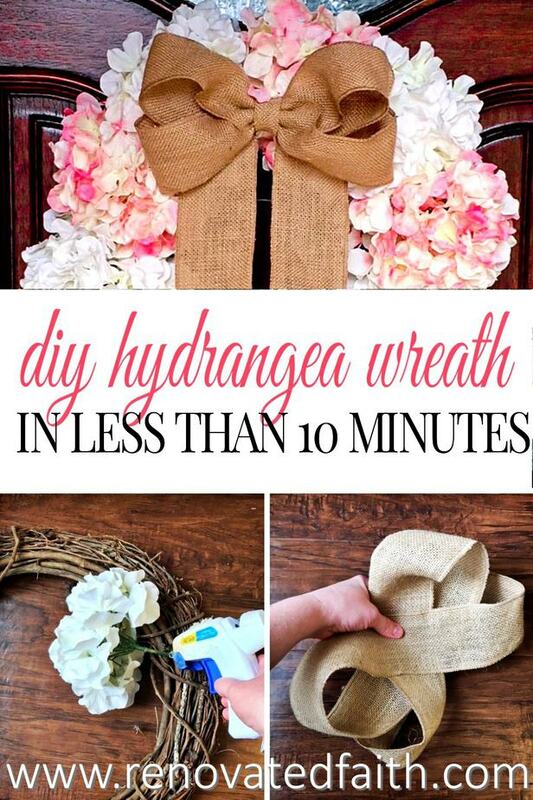 And you are done with your hydrangea door wreath! I hung my wreath on a nail on the door OR you can use an adjustable door hanger. If you don’t like the look of the door hanger, you can always spray paint it to match your the door. No one will notice it, because they will be in awe of you beautiful wreath! What about you? Are you ready to trade your winter blues for the fresh flowers of spring? If you have read many of my posts, you know I write often about how I love home and furniture makeovers because they remind me of how God redeems our brokenness. But what does that really look like in our day to day lives? Maybe you’re enduring a difficult winter right now. Perhaps, some area of your life feels broken. You might be struggling with anxiety or an unexpected illness. Or maybe you are struggling with a broken relationship. 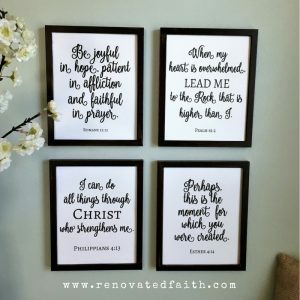 FREE PRINTABLE SCRIPTURE WALL ART! 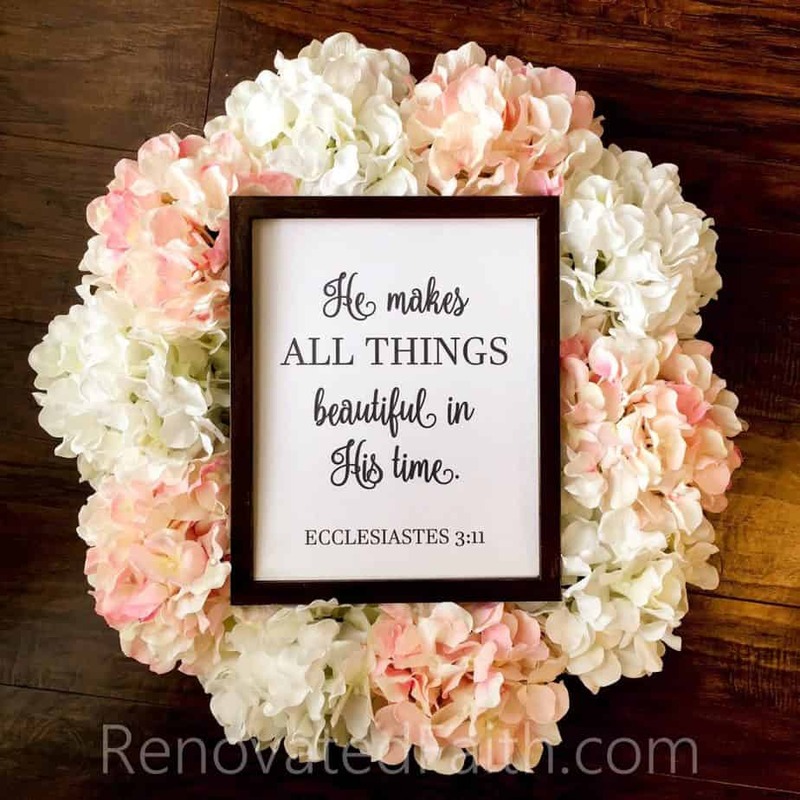 Go HERE for instructions on how to make DIY Faux Painted Wall Art as well as a link to all of my free Scripture printables including this one above – All Things Beautiful / Ecclesiastes 3:11. But whatever your hardships, they are not too broken for God to transform. 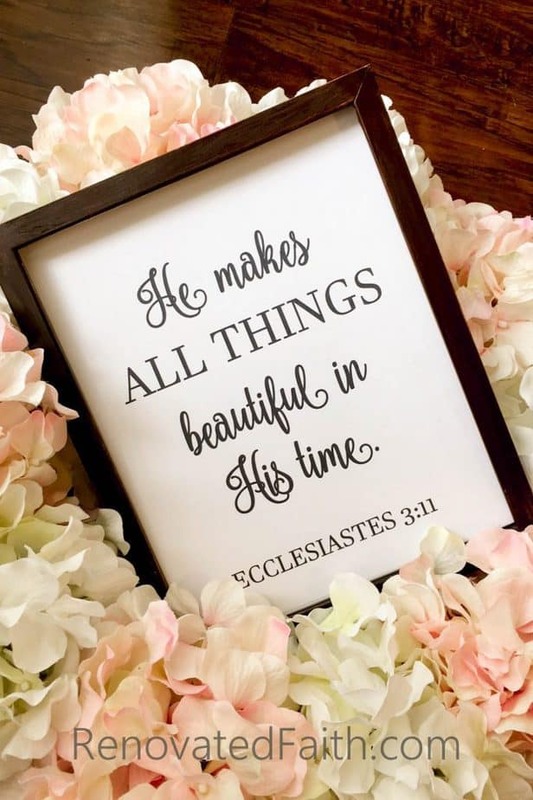 Our Heavenly Father is in the business of makeovers – making all things beautiful in His time. Right now you might be in the thick of the battle…. but take heart knowing this too shall pass. 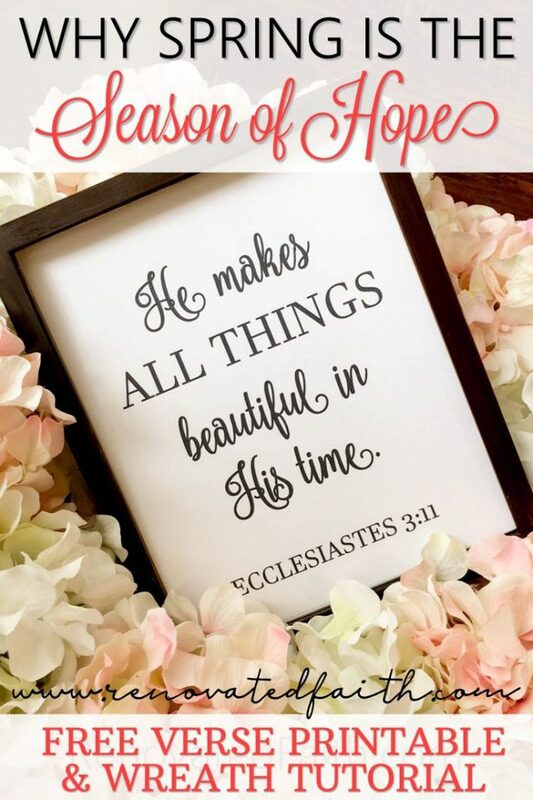 My prayer is that He shows you a new season of hope and encouragement – that you will know He has not forgotten you, but He is actually carrying you. Remember that He has an amazing capacity to make all things beautiful and He is already at work in your circumstances to do just that. He longs to infuse you with hope, strength and peace. For your Heavenly Father sees you and loves you without question or condition. Want to hear more about how God makes all things beautiful in His time? 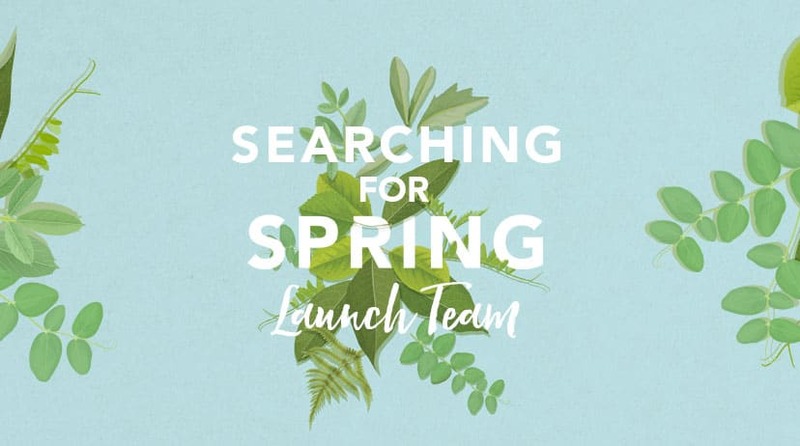 I invite you to pre-order your copy of Searching for Spring by my friend and author Christine Hoover. I’m excited to be on her launch team to help spread the word about such a fantastic resource. In Searching for Spring, Christine Hoover takes you on a treasure hunt for beauty in both familiar and unexpected places. If you are in the midst of suffering, if you find your faith withering, if you are questioning whether God is at work–or even present–as you wait for something in your life to become beautiful, this book will be a welcome reminder that God never stops his redemptive work . . . and that there is a time for everything under heaven. Did you like this post? Be sure to share it and have a wonderful week! Karin – this is lovely! Aside from showing me that I can do this, I also grabbed on to the way you store your glue gun in a coffee mug. <3 It's always such a mess and this is a fantastic remedy. Thanks for sharing with such a heart to honor the Lord … AND celebrate Spring (which we're still far from here in Colorado). Hydrangeas are my favorite, but I can’t ever seem to grow them! I’ll have to try to make this as a substitute!